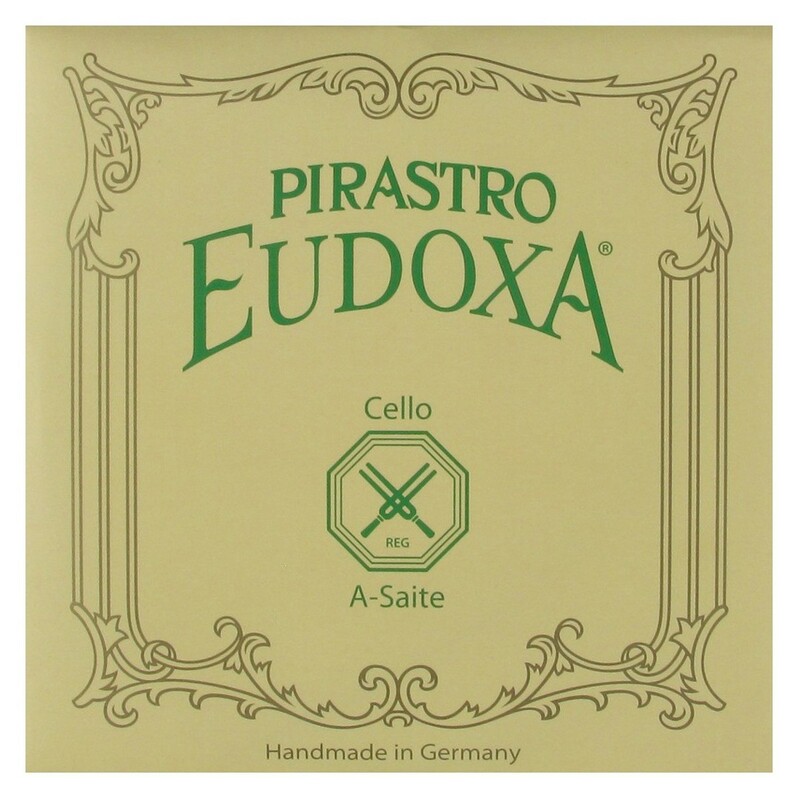 The Pirastro 234150 Eudoxa Cello A String offers a precise tone for the developed musician. The gut core produces a range of clarity and warmth supported by rich complexities. The aluminium winding has a flexible feel, as well as adding brightness to the string’s high frequencies. The heavy gauge tension offers more depth and low end balance for a sound full of swelling overtones. This string is ideal for musicians requiring a dynamic range in their sound. The Eudoxa series of strings offer players a broad range of sound possibilities. The gut is manufactured, wound and polished by hand. This gives the strings a traditional sound with subtle nuances of your individual style, resulting in a more organic response. The easy response and comfortable feel is a result of the naturally lower string tensions. The range of gauge tensions means that each musician can have a string that suits their cello’s characteristics. All Eudoxa A strings have a ball tailpiece end, whilst the D, G and C feature knot ends.